Research work has proved that project performance is considerably improved through the use of Risk Management. This is simply because 70 to 90% of the problems encountered on projects are predictable and preventable. Risk analyses at the onset of any project will high light these problems and increase the chances to complete the project successfully. It will also enable Project Managers to reduce the time they spend fighting fires. This comprehensive and practical 6-day course introduces the participants to the concepts, principals, processes and applications of risk management in a project environment. 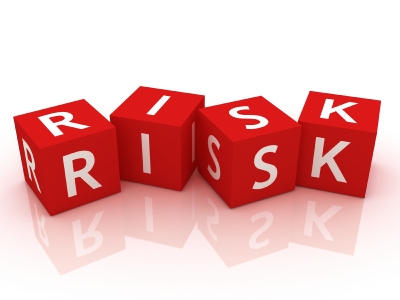 The course loosely follows the Risk Management practices adopted by the Project Management Institute (PMBoK 2004). It explains the tools and techniques that will aid participants in the implementation of these practices. Owners who care enough about their project and want to see it reach a successful completion. Contractors that would like to identify all the project risk in order that they will maximize their return. Designers that would like to reduce their design risk and contract risks and in the same time meet owner expectations. Project team members that care about the project and want to reduce the project surprises. The objective of this program is to provide an understanding and appreciation of the Risk Management framework. The program provides participants with information and tools that will help them to address their responsibilities and risks they are likely to encounter while managing any project. Upon completion, participants will be able to actively participate or lead project teams through various risk management processes. The Tool Box provided will make their job much easier and manageable. The Program is designed to be delivered in three separate two day modules. Usually the program is delivered over a two week period. It can also be scheduled to meet client’s needs and time frame. Participants will take home a risk management tool box. The tool box is a collection of several check lists, forms, graphs, etc. This tool box will be used extensively during the workshop to give participants enough practice during the program.